Online insurance claims and self-care services, with insurance sales in less than three minutes. Get to know more about Gjensidige Online Insurance Platform created by MakoLab that has already been implemented in 3 countries: Lithuania, Latvia and Estonia. We worked with Grain, a bespoke furniture start-up in the UK, to create a new e-commerce store that allows people to create their own products, in real-time, using a 3D product configurator. Thanks to it you can design your perfect piece of furniture online! Created by MakoLab the 3D furniture configurator delivers a realistic presentation of the furniture models variants in various colours, upholstery, etc., thus being a useful tool in arranging apartment and office spaces. 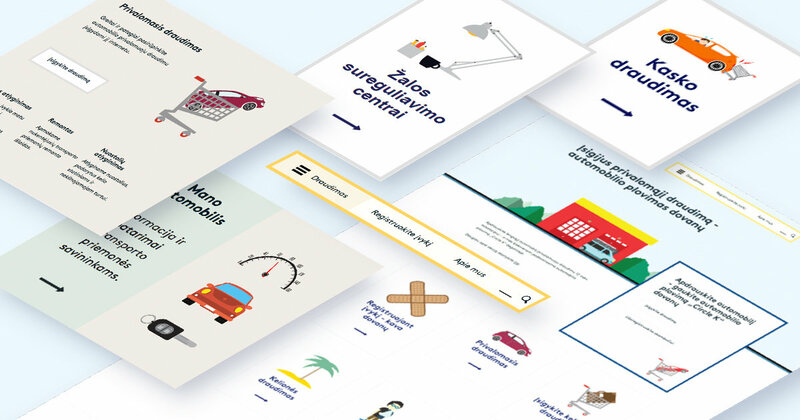 Paradyż undertook extensive research to better understand both their website users and end-customers’ needs, including their purchasing process – resulting in obtaining unique insights for the creation of a new portal. MakoLab created for the Client the new website. 10 K mobile installs and 4 K new customers registered… in 6 weeks. All that thanks to the Renault promotional campaign in the Middle East region enhanced by an engaging mobile functionality designed and realised by MakoLab.